It also has functional buttons. 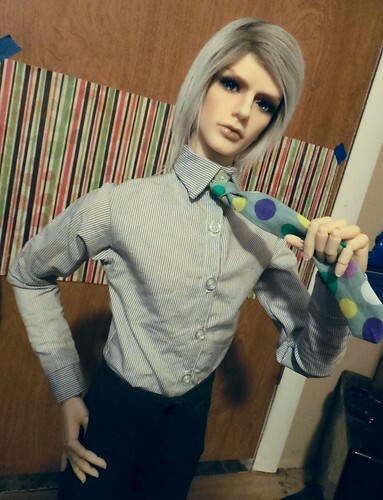 All he needs now is his vest and more ties, but I’ll leave that for another day. Previous Doll Jewelry is FRUSTRATING! You did that? wow great work!!! I made my new goal for next year to learn to sew during winter, since I can’t do face ups then X)! Oh my, Thank you very much!!! I’m glad they look professional. I put a lot of effort into making it. Again Thank you!